Need a 'Rattle/Noise from Engine' Inspection? How Much Does a Rattle/Noise from Engine Inspection Cost? 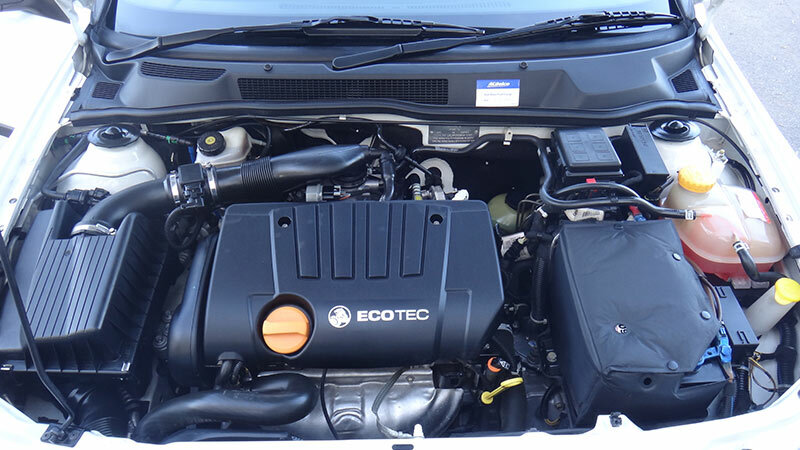 All internal combustion engines make noise when they are running, it is a byproduct of the mechanical parts moving and the combustion cycle occurring thousands of times a minute, but there are some noises that indicate that there is something sinister happening under the bonnet. Loud tapping, hissing or grinding noises may be your engines way of letting you know that something is going wrong and you need to get it checked ASAP! Whirring Noise: This is usually a vibrating or buzzing noise, and may change with engine speed. The most likely cause for these type of noises is belt driven accessories or the belts themselves. Checking of the bearings in the alternator, drive belt idler/s and tensioner, as well as the water pump (if applicable) is the starting point for these noises. Hissing or Gurgling Noise: These noises are common for vehicles that are having cooling system problems. If you can hear a hissing noise like air escaping from a hose, or a gurgling noise like water boiling in a kettle, checking the temperature gauge is the first priority. Hissing noises usually indicate that there is a coolant leak from the engine, and can be accompanied by a sizzling noise and steam as the coolant comes into contact with hot engine components. If you notice these symptoms, it is best practice to pull over as soon as it is safe to do so, let the vehicle cool down and have your vehicle inspected by a mechanic. Backfires: These sound like gunshots coming from under the bonnet or out the back or your car. This type of noise can indicate an issue with the fuel system, or that the engine timing is out. Checking the timing, the quality of the fuel being used and any vacuum or air leaks are the starting points for this type of noise. Spluttering/Shuddering/Misfiring: If you can feel the vehicle vibrating or jerking or a loss of power under acceleration, this usually indicates that the vehicle is misfiring. On vehicles built after 1996, this may also be accompanied by a flashing Malfunction Indicator Light (MIL) also known as the engine light. If left unchecked, a misfire can cause internal damage to the engine and also to the expensive catalytic converter, located in the exhaust. Checking the ignition system and also the fuel system for issues will narrow down what is causing the noise/vibration. Pinging: Also known as pre-ignition, pinging is the fuel mixture inside the cylinders igniting before it is meant to. This can be caused by using the incorrect octane level fuel, or an excessive carbon buildup inside the engine cylinders. Water in the fuel can also cause this issue. Tapping/Clicking: If you can hear a metallic tapping or clicking noise that increases when the engine speed increases, the most common cause is that the engine oil level is low. If the oil level is ok however, something more serious may be afoot. A blockage of the oil passageways, or a worn or damaged oil pump may not be allowing the correct oil pressure to reach the top of the engine. What’s Involved in the Rattle/Noise from Engine Inspection? Depending on what type of noise you are hearing, the mechanic will narrow down the system that is causing the noise, carry out a diagnostic check (with a scan tool if required) and quote on any necessary repairs that are needed. Hearing an abnormal noise from your engine can be an indication of a major or minor issue, so it’s best to have your vehicle inspected as soon as possible to prevent any further damage from occurring.